What Is Unique Platinum About? Unique Platinum is a shopping credit line account that is issued by Unique Card Services. 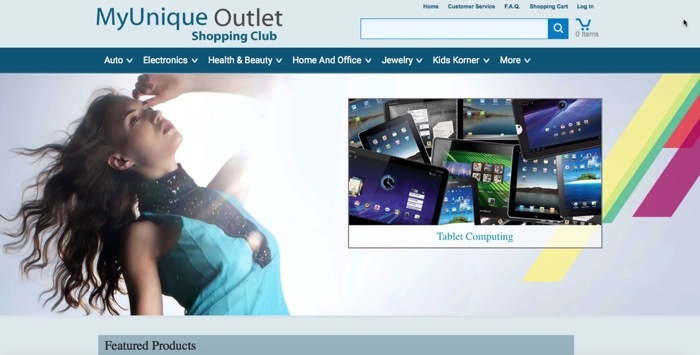 It is a credit card that can be used in their online store www.myuniqueoutlet.com. It cannot be used anywhere else like a regular Visa or MasterCard. If you are reading, you probably have gotten a direct mail from them telling you how there are no credit checks and that you get 0% APR and a $1,000 unsecured lines. All these are true but there are some fine prints that you have to be aware of. Let's dive into this in greater detail. Upfront Initial Payment Fee : $29.95 - why should they even charge this? I do not know! As you can see from the details above, you have to pay some fees to join the Unique Card Services membership shopping portal. You have to pay an upfront fee of $29.95. After that, you have to pay a monthly fee of $19.95. This works out to $$239.40 a year - which is quite a significant amount. For the fees that you pay, you get benefits like free roadside assistance and opportunities to get discounts from various merchants and services. The interest rate is 0% so you do not actually have to pay interest if you pay over time on your purchases. However, this is offset by the fees you have to pay. You have to pay a minimum of $25 or 15% of your balance for your minimum payment. For example, if your balance is $50, then you have to pay $25 twice and you will end up paying down the balance in two cycles. If your balance is $200, then you will pay $30 as your minimum payment until the balance is paid off. As you can see from the table above, there are many merchandise catalog cards and accounts in the market. And if you look closely enough, many of them are from the same issuers. Unique Platinum, Next Millennium and Vast Platinum are issued by the same issuer Unique Card Services. Horizon Gold, Net First Platinum, Freedom Gold and Group One Freedom are all from Horizon Card Services. Fingerhut and Gettington are from Bluestem Brands. The accounts from Unique Card Services and Horizon Card Services are quite similar in that they offer you 0% APR for financing. But the catch is that you have to pay a membership fee (in return for a bunch of benefits like road side assistance etc). Unique Card Services charges $19.95 a month and a one-time $29.95 set up fee. The cards from Horizon Card Services charge $24.95 monthly fee for their membership. Hence, from a cost perspective, Unique Platinum (being a UCS offering) is better than all the Horizon Card Services offerings. However, both the Fingerhut and Gettington have no membership fees requirements to open a credit account with them. As far as fees and cost are concerned, Fingerhut and Gettington come out ahead. As far as reporting to credit bureaus go, Unique Platinum's website does not state if they do report to credit bureaus. Horizon Card Services report to "one major bureau" which we know is TransUnion. But nothing beats Fingerhut and Gettington, who both report to all three credit bureaus. The Unique Platinum may entice you with no credit checks, 0% APR, $1,000 unsecured credit lines and guaranteed approval. But there is a cost to that. And that is that you have to pay a monthly membership fee for that. And that fee adds up to $239.40 a year (which is a lot of money). Despite that, it is still lower than the cards from Horizon Card Services, which charge $24.95 a month for their membership fees. However, when Fingerhut and Gettington both do not require any membership fees and report to all three major bureaus, then it is really hard for us to be excited about this card. If your credit is bad (say around the 550 score area), I would suggest getting a card like Credit One and supplement it with a shopping card like Fingerhut. If you have been declined by these, then consider a secured credit card instead. Only if you have been declined for numerous secured credit cards should you even consider the Unique Platinum.